Sherman Oaks! This nearly 1,600-square-foot home offers white picket fence charm outside, and upgraded interior. Located on a large corner lot, it offers four bedrooms and two full baths, including a large master suite that opens up to a Zen garden. Newer kitchen appliances, roof, windows and AC/heating. French doors, chair rails, and shutters. Recently painted exterior and interior. Copper plumbing and hardwood floors make this home a standout. The backyard perfect for entertaining with a pool, a grassy area and a large wood deck off the dinning room. Ideal to play host to everything from kids' birthdays to simple gatherings.. 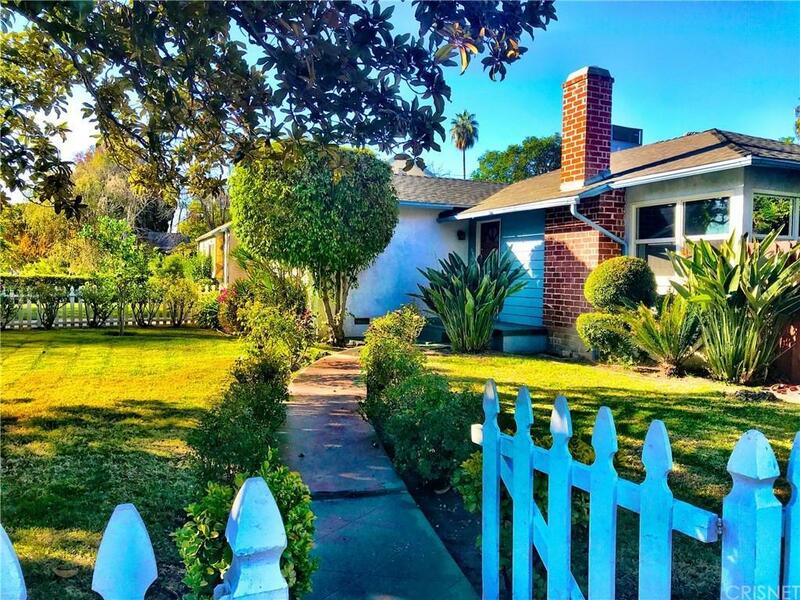 The desirable neighborhood is perfect for pushing strollers, walking dogs, and turning neighbors into friends, and is convenient to parks, freeways, and shopping. Sold by Paulette Zemlicka BRE#00641359 of Coldwell Banker. Listing provided courtesy of Paulette Zemlicka DRE#00641359 of Coldwell Banker and Jodean Buckley CA DRE# 01171740 of .